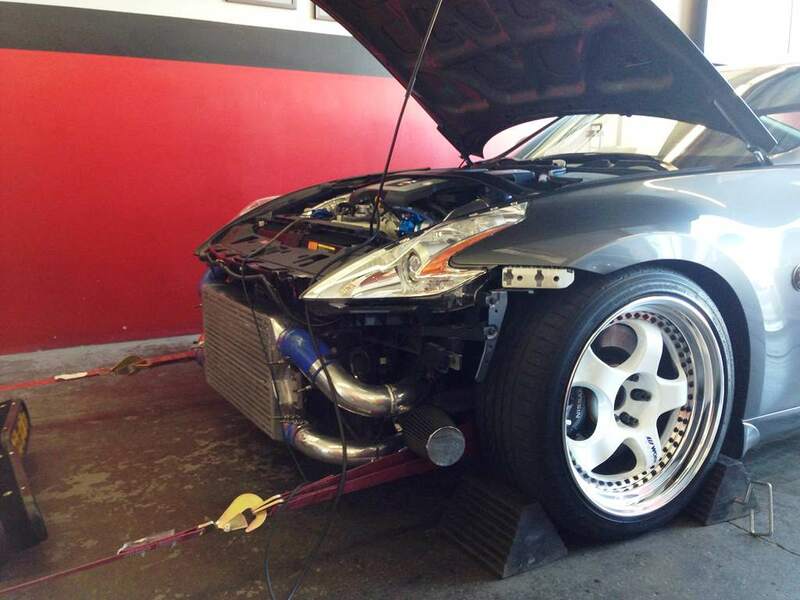 One of the first Fast Intentions TT kit for the 370Z happened to go on Anatoly’s Z. This 2013 sleeper does not disappoint! Armed with a pair of GT2860RS turbos utilizing Tial V-Band .86 turbine housings. For fueling, we stuck with Bosch 650cc fuel injectors and Aeromotive 340lph fuel pump and keeping it a returnless system. The factory returnless system has many bottlenecks. Fuel upgrades for the 370Z are coming shortly to combat the shortcomings. Video of how it sounds on the dyno. 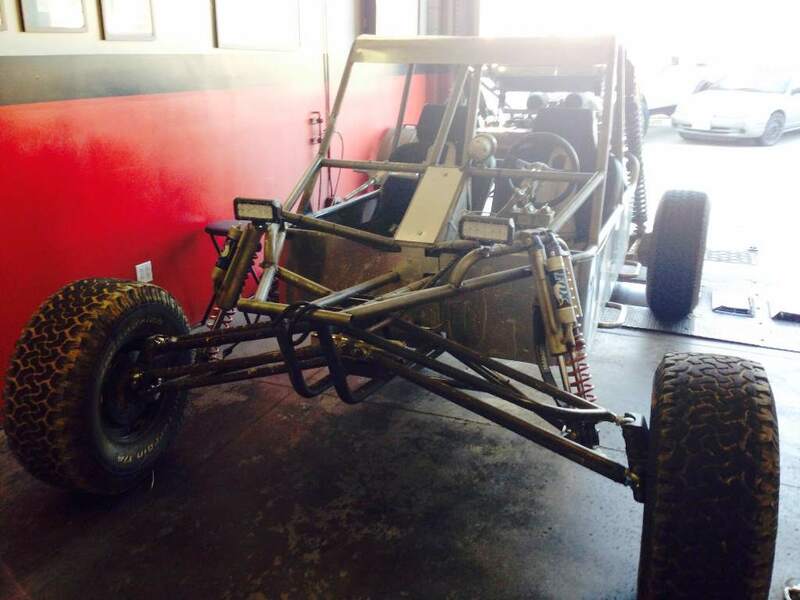 Back in December Paul brought over his freshly built sand rail all of which he did himself in his garage. Paul used the VG30DE as the heart of the power plant. We just managed to squeeze the rail on our dyno roller. A Selin translator is used for air metering along with the factory Nissan ECU. After straightening out some injector issues we did a baseline pull (in blue). After some more pulls we ended up (in red) with a nice increase and smoother powerband. 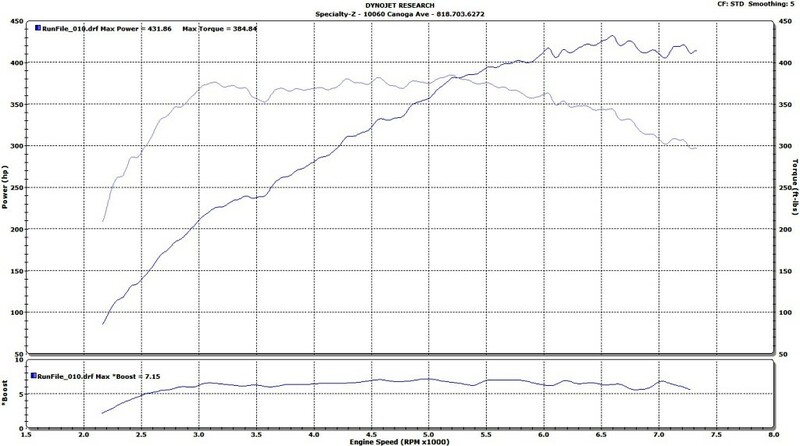 A gain of 25 whp and 29 torque at 6000 RPMs. It’s been awhile since we last updated the blog. It’s been very busy at SZ thankfully. Thank you to all our great customers. 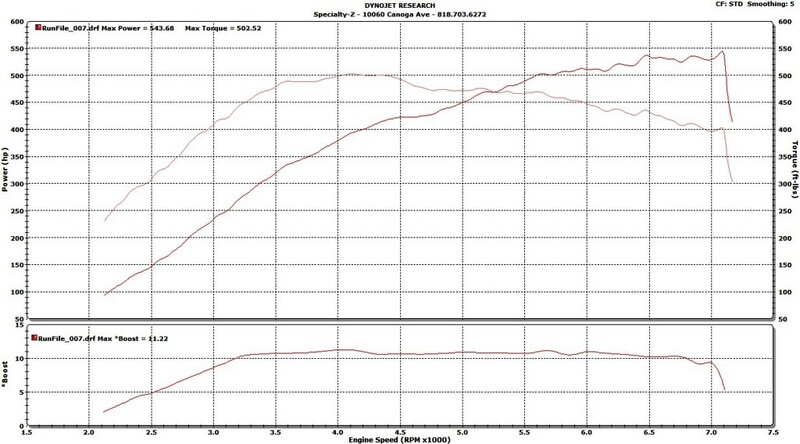 Anthony brought over his GTM Stage 2 TT 370Z for some work and tuning. 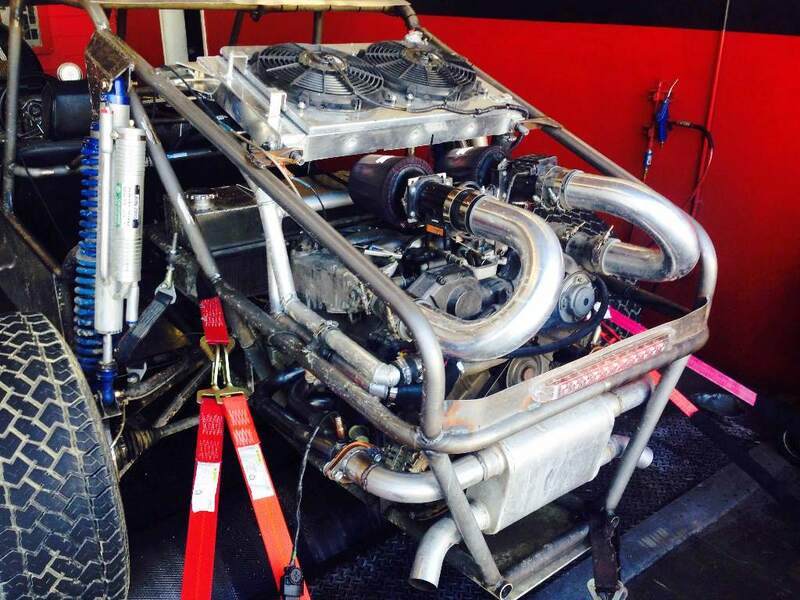 The heart of the kit makes use of Garrett GT2860RS turbos with an .86 turbine housing. 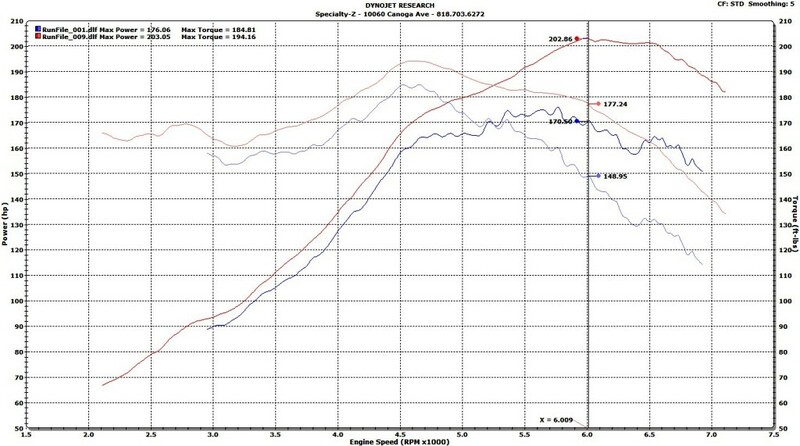 The exhaust on Anthony’s Z was dual 2.5″ out of the turbos and necks back down to a single 2.75″ system which is really hurting the power and more importantly the efficiency. You’ll see that power is below average for a TT VHR even on 91 octane. 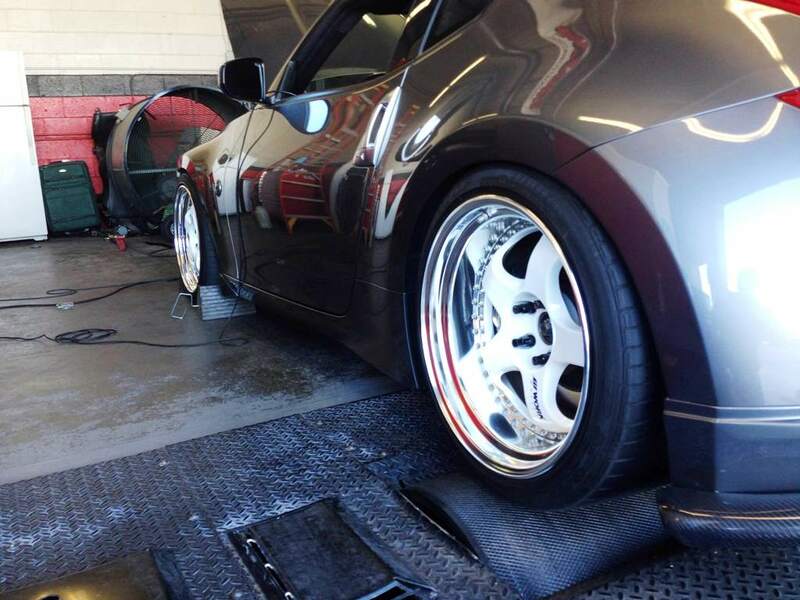 Anthony has plans to “fix” and upgrade the entire exhaust system and make it dual 3″ throughout. 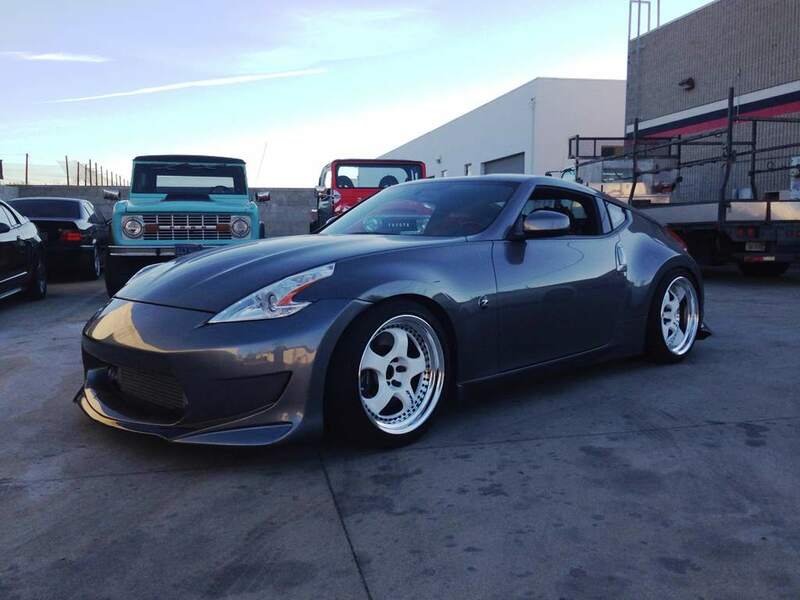 Beautiful Work wheels complement the Z’s look and stance. This particular kit on Anthony’s Z was originally made for a G37 hence where the intake(s) sit. The standard 370Z kit places the intakes forward close to the intercooler. 91 octane for a max of 7 psi. Once the exhaust gets squared away we should be able to make more power safely! 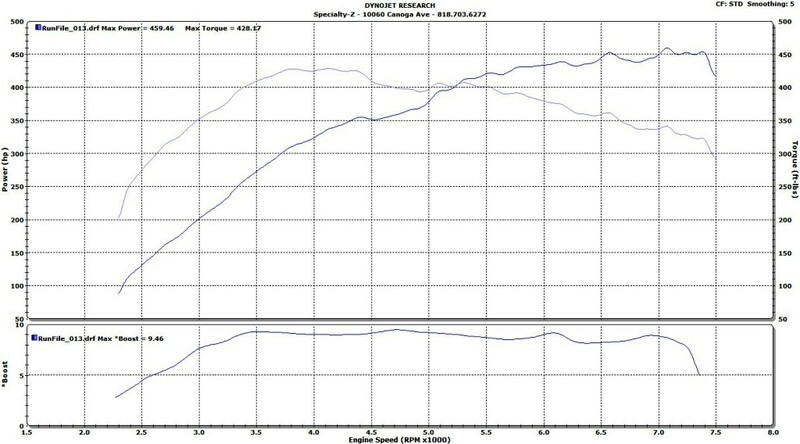 431 whp and 384 torque.